Negative showing the Factory Clocktower/Admin. Building and the North Factory wing. 1907 Addition is visible in right background. Description Negative showing the Factory Clocktower/Admin. Building and the North Factory wing. 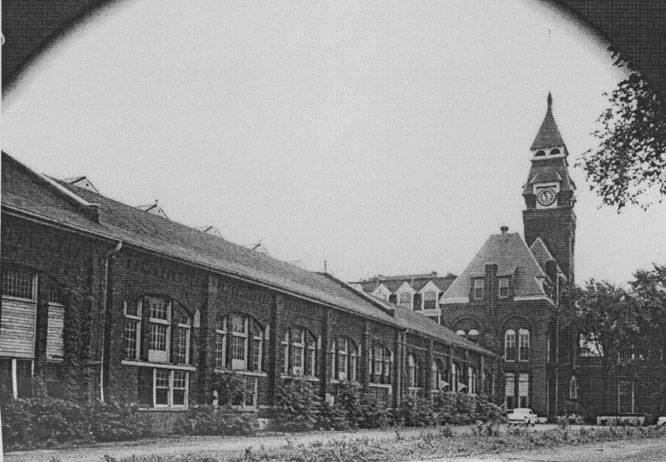 1907 Addition is visible in right background.